You may have thought the Jazz Aspen Snowmass Labor Day Experience was peaking last year, as the long-running pop music festival booked the legendary Stevie Wonder for one of his few concerts of 2016. But it turns out that the festival, founded in 1991, was only breaking through to a new level of national notoriety and pulling its way, finally, into the upper echelon of American music festivals. This year’s lineup drew the earliest sell-out in its history (the Sunday shows were gone by June, with the cheapest general admission tickets going for $400 on StubHub by mid-August) and what are expected to be the largest three-day crowds in Jazz Aspen’s history at Snowmass Town Park. So what’s all the buzz about this year? 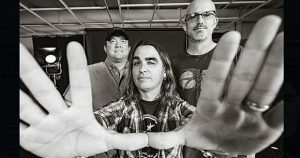 FRIDAY, SEPT 1, 6 p.m.
They’ve headlined a handful of stellar shows at Belly Up and have local fans excited to see what they’ll do with Aspen’s biggest stage. John Oates has played just about every stage in Aspen. The longtime Woody Creeker has even jammed at Labor Day fest as a special guest of bands like Train. But he’s never performed here with his longtime musical partner Daryl Hall, making Friday’s set is a historic moment for Oates and local music fans. SATURDAY, SEPT 2, 5 p.m. There was a time, not so long ago, when this Denver-based band would swing through Aspen opening for bigger bands and playing to scant offseason crowds. Since then, the band and its exuberant soul-infused folk rock has sold out here and just about everywhere they go. Expect a wild set, both at the JAS After Dark show Friday night and Saturday evening’s set on the festival’s main stage. An enthralling throwback, this Birmingham-based eight-piece outfit is making throwback ’60s-style soul new again. Led by songwriter and vocalist Paul Janeway, Their big and brassy sound is an ideal party-starter for Saturday’s festival. It seems like Keith Urban can do whatever he wants with his music. Who else but this New Zealand-born country rock star could drop an album boasting drum machines and guest appearances by Pitbull and Nile Rodgers and still please the country music faithful? This is the sleeper show of the big music weekend in Aspen. 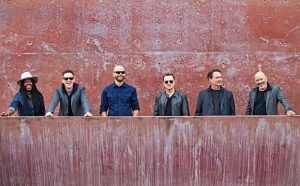 The electronic duo behind the Grammy-winning breakout hit “Tearing Me Up” is playing a late show at Belly Up, performing amped-up, danceable versions of their low-key electro-rock and performing with a live drummer. The New Orleans rock band’s “Wish I Knew You” is turning into a classic, having now spent more than 40 weeks on the charts (and showing up in a Blue Moon commercial) and attaining a rare pop cultural ubiquity. 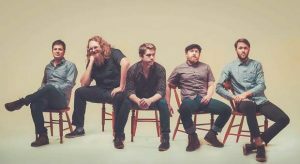 But Aspen knows this hard-rocking bands well, from regular appearances in the last five years at Belly Up and an afternoon at the Labor Day fest in 2014. Never mind Jimmy Fallon and all those viral videos of The Roots playing songs on kindergarten instruments, this is hip-hop royalty on the main stage at Labor Day. 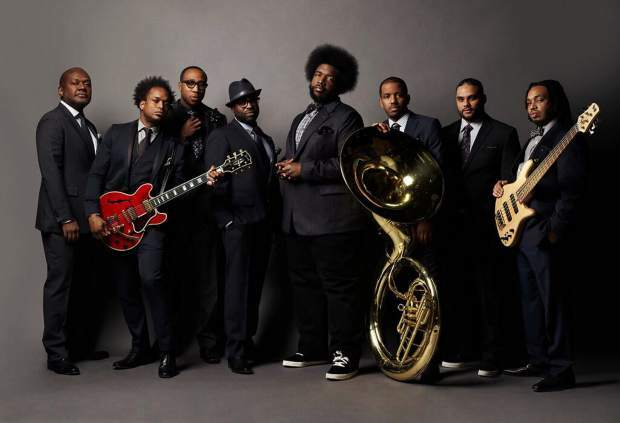 From 1999’s breakout of “Things Fall Apart” to this year’s “End Game,” with Questlove on the drums and Black Thought on the mic, The Roots bring a one-of-a-king eclectic jazz- and soul-inflected sound to rap and they may be the best live band of their generation. Accepting the Teen Choice “Decade Award” a few weeks ago, Maroon 5 frontman Adam Levine said the band’s next album would be their last. The band behind “Moves Like Jagger” is making a case for itself as the next Rolling Stones — reigning as one of the most popular touring acts in the world and selling some 20 million albums in an era when nobody does that. Expect a night to remember from this festival closer (and expect a dose of brand-new music — Maroon 5 has been dropping singles and hinting at an impending surprise album release). A loud, late and lively show with The Motet is the ultimate Colorado music festival after-party. If you live here, you’ve probably seen the wild-hearted Denver funk collective a dozen times. If you’re visiting, you need to bring your dancing shoes and see what a Motet set in Aspen looks like.